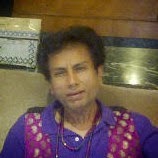 Rajani Kannepalli Kanth is a professor, economist, philosopher, and social thinker. Though born in India, he is a US citizen and has resided overseas for most of his life. His major research interests lie in the fields of Economics, Social Theory and Policy, and Women's Issues. His works have received positive endorsements from iconic intellectuals such as Ravi Batra, Roy Bhaskar, Noam Chomsky, Geoff Harcourt, Robert Heilbroner, John Hobson, Jonathan Joseph, Tony Lawson, Ali Mazrui, John McMurtry, Roger Owen, Warren Samuels, Gayatri Chakravorty Spivak, Paul Sweezy, and Immanuel Wallerstein. He has, across plus-three decades, taught in the areas of Anthropology, Sociology, Political Science, History, Economics, and Philosophy. He currently serves as the Trustee of the World Peace Congress that he founded in Salt Lake City, Utah, in 2007. He has also served as an advisor to the United Nations in New York, aside from being on the faculty of major universities around the world. He has been married, and divorced, twice. He has four daughters, two from each marriage, all living in the USA. He has studied at various institutions in India and overseas, such as St George's College, Loyola College, the Delhi School of Economics, Columbia University, and the New School for Social Research. He holds a Bachelor's Degree in Economics/Statistics/Poliitics, a Master's in Sociology, a second Master's in Economics, and a Ph.D. in Economics. He commenced his academic career teaching Political Sociology at the newly inaugurated Jawaharlal Nehru University, after obtaining a Master's Degree in Social Anthropology from the Delhi School of Economics, in New Delhi in 1971. In 1974, he attended Columbia University from which he transferred to the New School for Social Research, New York in 1975. In 1979, he taught as Economics Faculty at the UN International School in New York, and at St. John’s University, as well as serving as a Teaching Fellow at the New School for Social Research. That same Year he earned his second Masters, in Economics, whilst also serving as a Research Associate at Columbia University, following it up with a Ph.D. in Economics in 1980. His Ph.D. thesis was published as a book titled Political Economy and Laissez-Faire in 1986. After a stint as Economic Advisor to the United Nations, at the UNFPA, and also the Centre for Transnational Corporations in New York, between 1979-1981, he returned to the academy, joining the State University of New York, at Purchase, where he taught from 1981-1985. From thereon, he went on to accept positions in a multitude of Institutions: Providence College, the University of Utah, Oxford University, UK, the University of Bielefeld, Germany, University of Bremen, Germany, the University of Aarhus (Denmark), the University of New South Wales (Australia), the University of Technology, Australia, Wagner College, New York, the National University of Singapore, Duke University, the University of Massachusetts Amherst, Tufts University, Loras College, Washington College, Bard College, and Harvard University (where he served as a Visiting Scholar in Economics in 1998, Fellow in the Center for Middle Eastern Studies 2007-2010, Associate of the Department of Anthropology 2010-2011, Fellow in the Department of Anthropology 2011-2014, Visiting Scholar in English 2014-present) amongst others. In April–May 2012, he visited Jawaharlal Nehru University, India, as a Fellow of the Institute for Advanced Studies.